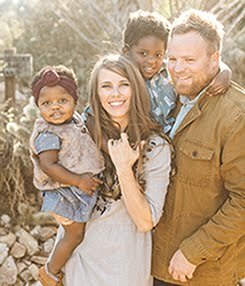 Thank you all so much for your excitement and encouragement about our adoption! Announcing the adoption was the fun part. The part that feels a little more overwhelming is coming up with the $30,000 to $40,000 we are going to need to pay for the adoption (since we don't really have that much spare money lying around at this point). But actually, I am really excited about this part. 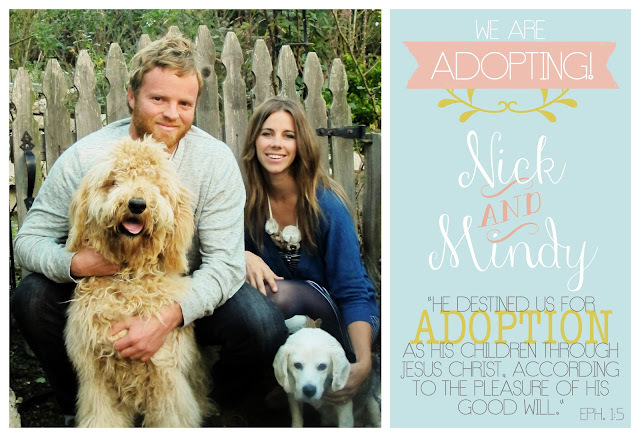 I'm excited to see the ways that God shows up to make this adoption happen. Because I know he will. We are going to work our butts off to bring in as much money as we can, and we already have lots of ideas for ways we can raise some extra money. But, we know we will not be able to do it on our own. We are going to need help. So, if you are interested in helping out in any way, I am going to be sharing lots of opportunities here on the blog, and don't worry...they won't all involve forking out money. There are some ongoing things in the sidebar on the right that can be done at anytime, like shopping in our etsy shop, buying coffee from our site, or donating through PayPal or WePay. Our first fundraising event is going to be on Tuesday, March 12. My sister and I are going to have a booth at the Crossline Church Spring Boutique. We will be selling a variety of handmade accessories, and we will also have a nice selection of Plum Paper products! Of course, there will be lots of Caramel Cup goodies, including cupcakes and our famous caramel and chocolate covered pretzels. All profits will go towards our adoption. So, stop by if you'd like! If you happen to be talented at making anything that we could sell and would be willing to donate some items, we would LOVE it! As much as I wish I was good at making stuff, I know there are people out there who are much much more talented than I am. 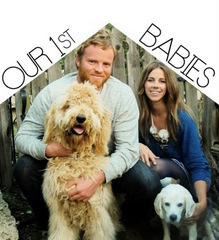 Buy coffee, cute hand crafted goods, and end up with a baby, sounds great!!! I support all of it. Yay! I've be praying for years for the best solutions to come clear for you and I'm so glad to see that you're adopting!! Thanks for asking for help as you have here. I sent a note to my sister who lives down by you and I've posted this to my friends on facebook so they can support you, too.